I have a "weed" that has established itself in the rose bed. I've never had it before, so am not up on its' identification. It looks like Tansy, may be a variety of it from the drawing on Wikipedia. The leaves are a bit wider than the drawing; it has the yellow flowers, but the button is developing into a little daisy with skinny petals. It has an unpleasant odor, not repulsive. A couple of the plants have a gray color instead of green. It has grown 5.5 feet high and is actually overtaking the roses, so I ripped some up and threw them over the fence, where I occasionally throw other things that deer will eat. They won't touch them!!! No doubt the odor has turned them off. So far the plants have dried up and no animal has eaten them. Now, last week a deer got into the garden briefly, as I noticed a few rose branches eaten, but he/she didn't go near the place where the "tansy" is growing. That doesn't mean much, I know. Possibly it was a small deer, as they are not too knowledgeable about plants. From the webmaster: I have a MS in Horticulture, and it looks like Tansy to me. I used to grow a lot of it and it has a strong smell. The herb is used for some medicinal applications, but it is toxic to down right posion, so you shouldn't have to worry about the deer eating it. If you want to put it in a better place, wait until it dies down this winter, dig it up, divide the crown with a knife, and then plant you new pieces wherever you want to deter the deer and rabbits. It can be pruned down if it is leggy and you want to keep it bushier. I agree with you it is Tansy which are widely grown in the western world. I Myself is a horticulture specialist and the smell coming from them is unpleasant and make you uncomfortable. I got all the good information from google and the Tansy is natural deer repellant. I have planted so many trees to protect the garden from deer and it also protects from snakes. The deer information on this website is great. When it comes to deer repellent recipes or other deer control information I suggest people come here to read your site. 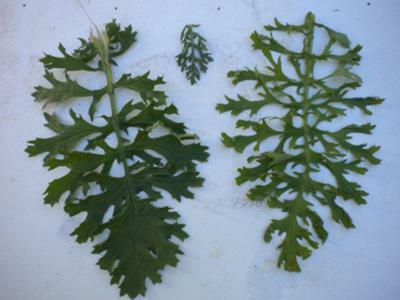 While examining the leaves that you have shown here I tried a lot to find out whether the leaves are tansy. And I found a similar and exactly a good similarity. 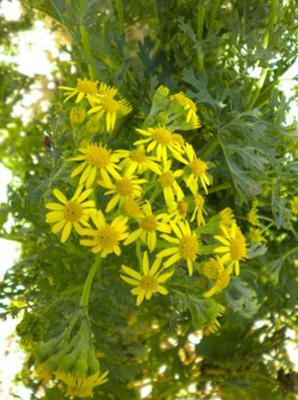 The plant that looks like this is the white boutique tansy. 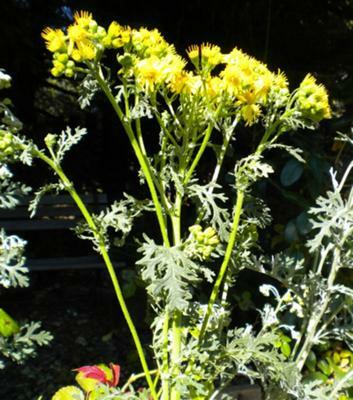 Tansy /Ragwort : if dry, will it kill deer? I will have to check and identify this plant when I get a proper photo. In the meantime would like to know, as Jeremy noted as to the danger to horses when dry... will it kill deer when it is dry? or any other critter? Just found out, Americans use Tansy to mean Senecio jacobea (deadly poisonous), while we Brits use Tansy to mean Tanacetum vulgare (a mildly toxic plant used as a herb). Use Latin names to double check plants if you don't want to kill yourself or your animals by using common names! Your picture is not tansy, which is only mildly toxic. It looks much more like a ragwort (Senecio jacobea or similar) to me, which is DEADLY to horses and other livestock - they normally avoid it, but if it is pulled and allowed to wilt, they will eat it - and die. Don't lick your fingers if you have touched it either. Thanks for the reply. I read somewhere that you should wear gloves when handling it, due to it's toxic nature. the first group of plants I hacked down as they were 6' tall and falling on my roses. Sorry Tansy lovers. Anyhoo, I used my bare hands and felt/feel fine, then I read the warning article. So now to be safe I wear gloves. It is now going to seed, so I should have a million tansy plants to deal with next year. Stitch in time, but was too busy with other projects.